Let’s face it–Chicago is a HUGE city. It also has a huge population of homeless and runaways. Finding one person in particular here is a monumental job. It requires a lot of resources and time. It also requires a good knowledge of the city itself and where different groups of homeless and runaways like to go during the day and at night. So, how to track down a missing person in Chicago? Checking a missing persons list is an option but usually doesn’t yield results. Clearly, you cannot do it yourself, no matter how dedicated you are. A private investigator can help. Here is how. If you hire a P.I. from where you live, does he or she really know Chicago well enough to even begin looking to find a missing person? It just makes better sense to hire someone who has lived in Chicago his/her entire life because that P.I. has a better chance of canvassing old haunts and known places where the missing, homeless and runaways congregate. Sure, it might cost you a bit more, but when you take into consideration what it would cost you in travel expenses, hotel expenses and any other expenses an out-of-town investigator would charge you, it is worth it to hire such a pro in the very city you want searched. The private investigator you hire will request a detailed report to find a missing person. Height, weight, hair color, eye color, skin tone, last seen wearing, etc. are all physical descriptors. However, the P.I. will also want to know other things, like if the missing person had a mental illness, was prone to violent behavior, had a gambling problem or a drug addiction, etc. All of these details will help the investigator search other locations for leads. After the detailed report, the investigator begins by searching police records to match anything that comes close to the report you gave him/her. If anything does match, or if your missing person was arrested or fingerprinted, the police reports will help the P.I. by providing some beginning directions to take and look. If absolutely nothing comes up via police records, then the P.I. will try another approach. 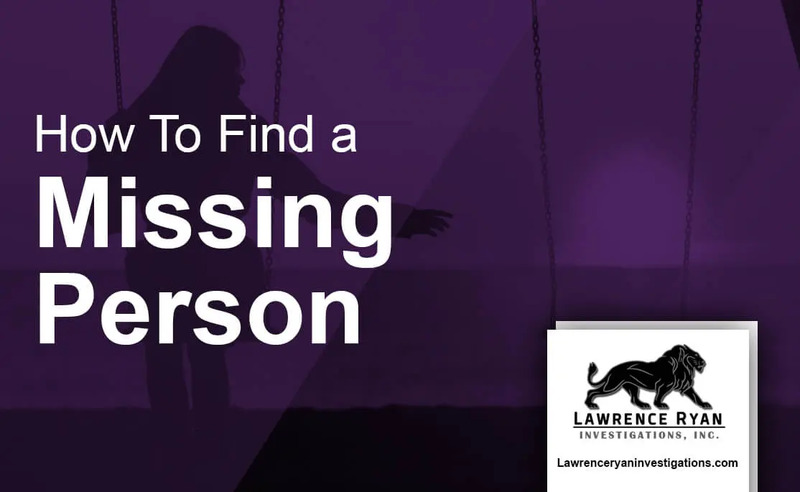 The investigator can also work to access the national missing and unidentified persons system to identify any opportunities in locating a missing person. When there are no police records indicating that your missing person has had any recent contact with the police, the next step is to search places where your loved one may be resting at night or getting warm during the day. All of these places are public, which means that if your missing loved one has been to any of the above, a staff person will recognize a picture and/or physical description of your missing person. Investigators may frequent these locations more than once in a week or month to make sure all the current staff have had a chance to identify the picture and/or answer any questions the investigator may have for them. Meanwhile, investigation teams will also check out the known outdoor locations where missing persons, runaways and homeless tend to congregate. This is under bridges, under the supports of the “El-train”, in alleys, and abandoned buildings, of which there are many in Chicago. An experienced P.I. from Chicago knows exactly where all of these places are, and is not afraid to check them alone. Your private investigator will stop to ask as many of these people as possible about your missing person. Since many of these indigent people have an alcohol or drug addiction problem and/or a mental illness, this is a very grueling process. If your private investigator can find any leads this way, he or she will follow up on them, despite the fact that they may end up nowhere. Uncovering and discovering new locations for the homeless, missing and runaways is also part of the process, since abandoned buildings are frequently torn down and the people that were squating in them have to find other shelter. A big part of this ongoing process is the re canvassing. Your P.I. will have to re-canvass different locations and neighborhoods throughout Chicago to find your loved one. After every possible location and resource has been exhausted once, the investigator will repeat it until he or she finds a new lead or the trail is totally cold. It then becomes your decision to continue paying the investigator’s fees in case something should surface, choose to give up the search or look elsewhere. These are all hard decisions, and certainly ones which you should discuss with your private investigator at some point, so that both of you are on the same page during the investigation. Now that you understand the monumental task of finding someone in Chicago, let us help. Contact an LRI investigator today to see what we can do for you and for your situation. Some missing persons and runaways can be found rather quickly if you act quickly, but the odds are not in your favor if you wait. To find a missing person requires fast actions and the resources to do an in depth investigation. About Lawrence Ryan Investigations, Inc.
Lawrence Ryan Investigations has been in the private investigations field for over 35 years. To find a missing person requires a certain set of technical as well as soft skills to deliver results. 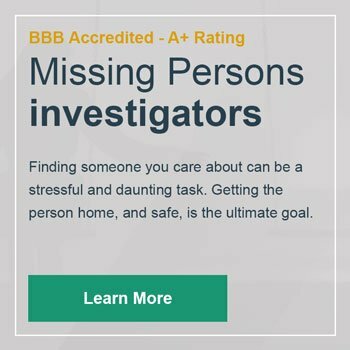 Having a domestic investigator from LRI will provide you with the peace of mind that you are getting the best possible support to assist you in your missing persons search. We always recommend to look at a private investigators reviews before hiring them. There are high quality investigators available but you have to be cautious of a select group that call them professional investigators but are farthest from it.